“What New Around the Mouse” Nov. 6th Edition – Travel, Family & Fun rolled into one! Walt Disney World, Disneyland & Universal News There are new things popping up every day at the Walt Disney World Resort, Disneyland Resort and Universal Orlando Resort. 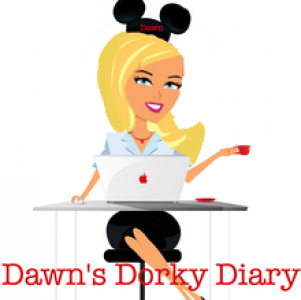 Join us every week to read about “What’s New” in Disney news and at Universal Orlando! New! Limited Time Magic Take a Walking Tour at Disney’s Animal Kingdom Park November 4 to November 8, 2013: Go wild on an exclusive backstage tour of Disney’s Animal Kingdom Park, courtesy of Limited Time Magic—experience the grounds of the park through the eyes of either a zookeeper or a veterinarian, all while walking about several behind the scenes areas! As the tour begins, half of the group will follow Animal Programs to get a glimpse of animal housing while the other half tags along with Animal Health to check out the state of the art animal medical center. If you’re lucky enough, you may even see a wild animal in the backstage environment! With only one tour per day, space is extremely limited. Sign-ups took place via Disney Parks Blog. New! Holidays Arrive at Walt Disney World! New! Mickey’s Very Merry Christmas Party Begins November 8, 2013 at Magic Kingdom Park: Enjoy live entertainment, festive fireworks and a jolly holiday parade at this winter celebration in Magic Kingdom Park—on select nights from 7:00 PM to midnight, November 8 to December 20, 2013! Party highlights include: Castle Dream Lights on Cinderella Castle, Mickey’s Once Upon A Christmastime Parade, Holiday Wishes Fireworks: Celebrate the Spirit of the Season, Meet and greet opportunities throughout Magic Kingdom park with some of your favorite Disney Characters, Complimentary cookies and hot cocoa and a magical snowfall on Main Street, U.S.A! For more information or to buy tickets, call 8779188941. New! Tweet & You Could Win Tickets to Mickey’s Very Merry Christmas Party at Magic Kingdom Park: Disney Parks Blog is giving out Mickey’s Very Merry Christmas Party tickets to those who participate in their Twitter contest. More details here. New! Cinderella’s Holiday Wish / Castle Dream Lights: As a gift to Cinderella, the Fairy Godmother waves her wand, and with a bibbidi bobbidi boo enchants the castle with sparkling white lights. Magnificent icicles seem to form instantly over the parapets and towers of the royal palace, as the lights wink and shimmer to a medley of heartwarming Disney tunes. The first lighting is Tues, Nov 5th. It will take place Tues through Sat at 6:15pm. Jungle Jingle Cruise: The Adventureland attraction will receive its first ever holiday makeover this year. Beginning November 8, Jungle Cruise at both Disneyland park and Magic Kingdom Park will temporarily transform into “Jingle Cruise” for the holiday season! In this new seasonal storyline of the attraction, the Skippers have grown homesick for the holidays, so they’ve added holiday cheer to the Jungle Cruise queue and boathouse with decorations that have been mailed to them from home (plus a few they’ve created themselves). The Skippers have also added a slew of new jokes to their tours that are the perfect way to get guests in the holiday spirit. Additionally, Jungle Cruise boats have been renamed with the holidays in mind, and if guests listen carefully, they may hear a holiday themed radio broadcast playing in the background. New! Celebrate the Magic – Holiday Edition Begins! On Nov 5, 2013, the holiday edition of Celebrate the Magic castle projection show returned to the Magic Kingdom! It’s showing 12 times per night with the new holiday show. Glow with the Show Ears continue to be part of the show too. New! Periwinkle Returns to Tinker Bell’s Magical Nook: Tinkerbell’s sister, Periwinkle has returned to Tinker Bell’s Magical Nook to greet guests with Tink this week through the holiday season. The Osborne Family Spectacle of Dancing Lights Begins: Starting Nov 7, 2013 and running nightly through Jan 5, 2014, view the Osborne Family Spectacle of Dancing Lights on the Streets of America at Disney’s Hollywood Studios. Marvel at millions of glittering lights perfectly synchronized to holiday music. Share in an awe inspiring seasonal treat for the entire family. Brilliant multicolored bulbs wrap the buildings, changing hues and brightness throughout the show at Disney’s Hollywood Studios. It may even snow! Holiday Decorations to be Installed Soon at Epcot: The Holiday Services team will beinstalling holiday decor at Epcot, beginning approximately Nov. 13 at the Front Entrance, Future World, Canada and the UK, and on Nov. 14 in Mexico through France. New! “Mickey’s Jingle Jungle Parade” kicks off Nov. 7 and lasts until Jan. 2, 2014. Holiday spirit meets safari style during a colorful parade filled with festive floats, delightful dancers and some of your favorite Disney Characters. Anna and Elsa from “Frozen” to begin Meet and greets at Epcot Nov 1: At Walt Disney World the pair will appear at Epcot in the Norway Pavilion, alongside a gallery of Norwegian culture that helped to inspire the film. New! The Hollywood Brown Derby Lounge Open The Hollywood Brown Derby Lounge is located on the patio of The Hollywood Brown Derby restaurant, on the corner of Hollywood Boulevard and Sunset Boulevard at Disney’s Hollywood Studios. At The Hollywood Brown Derby Lounge, Guests will be able to sit back, relax and enjoy appetizers, drinks and desserts. New! Festival of the Masters Returns to Downtown Disney Nov 8 – 10 2013: Now in its 38th year, Festival of the Masters is an impressive event. With steady growth over the years, this open air art festival that allows guests the chance to see and buy unique pieces now boasts over 300 artists, including more Disney artists than ever before. Plus you have the chance to meet many of them in person! Wine & Dine Half Marathon This Weekend: The runDisney Wine & Dine Half Marathon Weekend returns to Walt Disney World Resort on November 8-9, 2013. Epcot International Food & Wine Festival Ends Nov 11: From delicious new tastes (oh, that kimchi dog) to new sips, seminars, celebrity chefs and crazy good live music, 2013 is wrapping up – you have until November 11 to indulge your five senses. Special events continue, check out http://www.epcotfoodfestival.com for last – minute fun. And now we can’t wait for next year. ▪ Beach & Sunset Point Access to the east portion of the beach, near the Transportation and Ticket Center, and Sunset Point will be unavailable due to a scheduled refurbishment.However, all other amenities will not be affected. Some rooms in certain room categories in impacted buildings have been taken off the market during the renovation period. Starting on November 14, The House of Blues at Downtown Disney West Side is expanding its patio, building a new stage and adding a barbecue smokehouse. The House of Blues ticket sales window has moved inside the House of Blues retail shop. The expansion is expected to be complete in mid January 2014. During this time there will be no live entertainment on the Front Porch stage. New! Limited Time Magic Walk with an Imagineer on the Dream Suite Tour November 4 to November 8, 2013: Enjoy the rarest of opportunities as part of Limited Time Magic—set out on a one of a kind tour of the exclusive Disneyland Dream Suite! You’re invited to come along and explore the private 2 bedroom suite located directly above Pirates of the Caribbean. Originally planned by Walt Disney himself, the 2600 square foot space was sadly halted after his passing in 1966. Thankfully, his plans were brought back to life during a special celebration in 2008, and were redesigned to reflect each of the lands from Disneyland Park. You won’t want to miss out on this enchanting experience as a Disney Imagineer clues you in on many of the magical surprises hidden inside! Space is extremely limited. Sign-ups took place via Disney Parks Blog. New! Jungle Jingle Cruise: The Adventureland attraction will receive its first ever holiday makeover this year. Beginning November 8, Jungle Cruise at both Disneyland park and Magic Kingdom Park will temporarily transform into “Jingle Cruise” for the holiday season! In this new seasonal storyline of the attraction, the Skippers have grown homesick for the holidays, so they’ve added holiday cheer to the Jungle Cruise queue and boathouse with decorations that have been mailed to them from home (plus a few they’ve created themselves). The Skippers have also added a slew of new jokes to their tours that are the perfect way to get guests in the holiday spirit. Additionally, Jungle Cruise boats have been renamed with the holidays in mind, and if guests listen carefully, they may hear a holiday themed radio broadcast playing in the background. Visit Tony’s window in Disneyland. Tony’s window, located above the Main Street Magic Shop, states: Main Street Marvels, Tony Baxter, Inventor, “Imagination is in the Heart of our Creations.” The last line is a creative nod to “One Little Spark,” the memorable song written by Disney Legends Richard M. and Robert B. Sherman for the Journey Into Imagination Pavilion at Epcot – a project spearheaded by Tony for the park’s original lineup of attractions in 1982. New! New Surprises in Store for ‘it’s a small world’ Holiday at Disneyland Park: Holidays at Disneyland Resort just got merrier… and they’re about to get a little brighter, too! Evenings beginning November 12, the smiling clock at the front of “it’s a small world” Holiday will mark every quarter hour in a surprising new way. Using advanced 3D projection technology, the façade of the entire attraction will be transformed into an enormous, clockwork mechanism. Anna and Elsa from “Frozen” to begin Meet and greets Nov 1 At Disneyland, sisters Anna and Elsa will be meeting in a new spot in Fantasyland. Thor Appearing in Thor: Treasures of Asgard at Disneyland Park Opens Nov 1 at Innoventions in Tomorrowland, presenting an epic collection of objects brought to Earth straight from Thor’s home world of Asgard. You’ll also be able to travel across the Bifrost, a cosmic bridge transporting you to Asgard for an audience with Thor himself! Look for Thor: Treasures of Asgard to open November 1 at Disneyland park, and see “Thor: The Dark World” when the big screen epic adventure hits theaters November 8. Renovations Click on this pdf to download the latest renovations and closures at Disneyland. New! Universal Orlando hosting 7th annual Veterans Day parade Nov 7: The parade will feature Universal’s Veterans Network comprised of more than 400 team members who have served in the U.S. Armed Forces. Members of several Central Florida organizations will join Universal Orlando’s veterans to mark the occasion, including representation from all branches of the military, the American Legion, Orlando Police Department, area high schools’ JROTC Multi Branch Color Guard and Jones High School marching band. Several of Universal Orlando’s performers will also process through Universal Studios during the parade. The parade will begin at 11 a.m. in front of Beetlejuice’s Graveyard Revue. After the event, Universal Orlando’s veterans will enjoy a private lunch. The commemoration will also include a flag raising ceremony and a private lunch for veterans and their families. Hogwarts Express Arrives at UOR The Hogwarts Express has arrived at Universal Orlando Resort. Universal Orlando placed the iconic locomotive and train tender on the tracks between the two theme parks. Just like in the books and films – guests will be able to board the Hogwarts Express and travel between The Wizarding World of Harry Potter – Hogsmeade, which opened in June 2010 at Islands of Adventure, and ‘London’ when The Wizarding World of Harry Potter – Diagon Alley opens at Universal Studios Florida next year. Leaky Cauldron Restaurant will be part of new Diagon Alley: Representatives from Universal Orlando held a press conference at the World Travel Market in London. As part of the meeting it was announced that the Leaky Cauldron will be part of the new Diagon Alley opening next year. Jurassic Park Midway Games New Midway style games have opened in the Jurassic park area at Islands of Adventure. Previous Post I LOVE it when #25!